"When I were a nipper, I used t' get comic called 'Rover & Wizard.' It were quite posh, with no pictures and 6 long stories to read each week....."
Sorry GG but that stat probably isn't true. In 1913 automobile production in the US was already standing at over 250k, up by 50k on the previous year. Although the population of Oregon was only 700k then (USA total population was 97m) i suspect there would have been more than two registered automobiles in Oregon by 1913. A quick search online also throws up a similar claim to the 1913 Oregon one only this time it's 1836 and the state is Ohio. ''Sorry GG but that stat probably isn't true. In 1913 automobile production in the US was already standing at over 250k, up by 50k on the previous year. Although the population of Oregon was only 700k then (USA total population was 97m) i suspect there would have been more than two registered automobiles in Oregon by 1913. Ahh right. Like I said there is a claim that in 1896 the only two vehicles registered in the state of Ohio were involved in a head of collision. Alas that has also been debunked. One of the cars hit a tree. ....it swerved to avoid the other vehicle though. And what was extraordinary about that Ipswich is that both cars were being driven by twins who had been seperarted at birth 40 years previously and had never yet met. Well, at least the uncomfortable exchange of insurance details process had a silver lining. Gennaro - "Hi Uncle Vito, It's Gennaro!" Other Person on phone - "Sorry son, ye've got a wrang number"
G - "Och sorry missus"
OPOP - "Nae bother son...are ye Scottish?" G - "Yes I am as a matter of fact"
OPOP - "Whaur are ye fae son?" G - "Erm, Cowdenbeath actually..."
OPOP - "Jings! Yer fae Cowden! Ah'm fae Cowden masel! Whit's yer name son?" OPOP - "Yer joking! 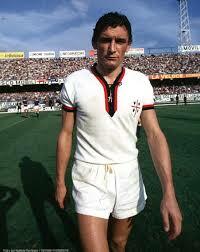 Are you the same laddie that used tae live at the back of Wee Jimmies in 1972!" OPOP - "Hiya son! I'm yer Auntie Jessie that used to babysit ye! Ye were an awfy laddie back then ah mind, but ye were awfy bonny tae! Ye were awfy keen oan the lassies ah mind but ye were a guid bairn etc"
You'll probably find that it wasn't just a totally random wrong number though. This persons auntie Jessie probably lived near the relative he was attempting to call. Quite often when phone numbers are being allocated houses nearby will have almost the same number except for one digit. That was certainly the case when large swathes of Kirkcaldy got cable. Some houses almost had sequential numbering when it came to phone numbers. 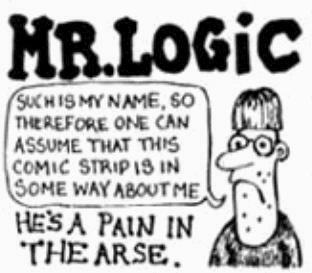 Mr Logic made his first Viz appearance in December 1981 issue 7 has has since made 18 further appearances. It's no as funny as it used to be though. Lol. Helpful and factually correct information. Before my time Ipswich so I can neither agree or deny. I do know my way around the world of Viz though... And it's a pale shadow of what it was in its early days. 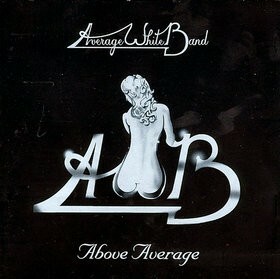 But not the cover to cover laugh it once was. I had hoped this thread would generate a raft of scarcely credible true stories, but apart from AWP's apocryphal account, so eloquently embellished with wit and humour, it's mainly been about scrutinising the minutia of the posts, rather than the spirit they were intended in. I was once given a book called ''The Big Book of Banana Blunders,'' some 40 years ago. (I think it was published by The Scotsman newspaper group.) It contained lots of amusing tales, but how true they might have been, I wouldn't like to say. One true story that has always amazed me was about the US soldier who ended up fighting alongside the Red Army on the Eastern Front in 1945 and was invited to their annual reunion event in Russia after the war. He landed in Normandy on D-Day but was captured by the following day. One of the Germans took his “dog tags” but was killed later on - when the ID tags were recovered by the American forces they assumed their serviceman had been killed in action and his ID taken from his body. Therefore his parents were informed that their son had been KIA. In fact he’d been shunted around POW camps, eventually escaped and made his way East where he meet up with Russian troops, who were very suspicious at first. They eventually accepted him and he served alongside on the advance to Berlin. I think he was even awarded Soviet medals. Even more amazing - his son became US Ambassador to Russia many years later.